There are many types of window styles. How do you know which one is best for your home? One of the best ways to choose a window style for your home is to ask yourself how you will use them. For example, do your windows need to have the ability to open? Are you looking for maximum ventilation? Or does your space require a custom shape window? The best choice is usually subjective to the size of the window opening. Sliding windows are ideal for a large space, due to their wide design that offers a clean, elegant look. Sliding windows, also referred to as a slider or gliding window, are windows that have sashes that slide in either direction and lift out for easy cleaning. Stanek’s vinyl sliding windows feature a clean, elegant look and are available in two- and three-lite sliding combinations. Our windows feature dual brass rollers and fully-integrated lift rails that ensure you experience smooth operation every time. Each of our sliding windows features a low-profile, double cam lock that provides you and your family with outstanding security. Unobstructed view. 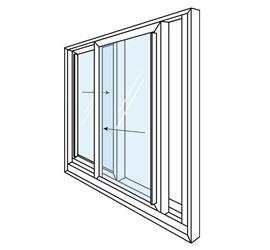 Sliding windows are an ideal choice for openings that have a width greater than their height. 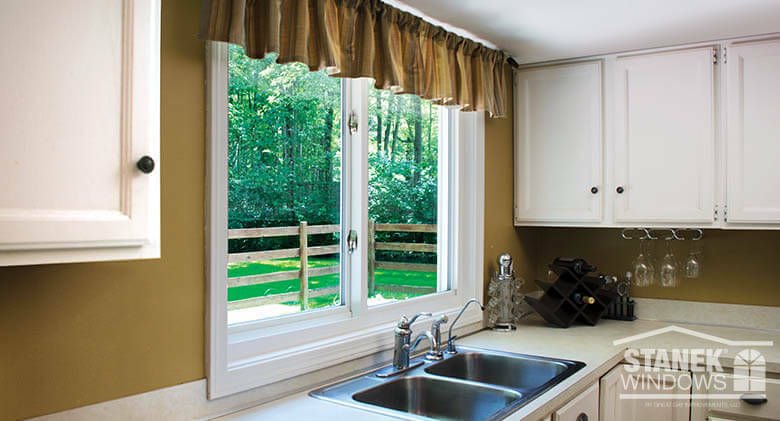 The wide design of a sliding window offers a large, horizontal view of the outdoors. The larger the window, the more natural light you’ll be able to enjoy in your home. Energy Efficiency & ventilation. 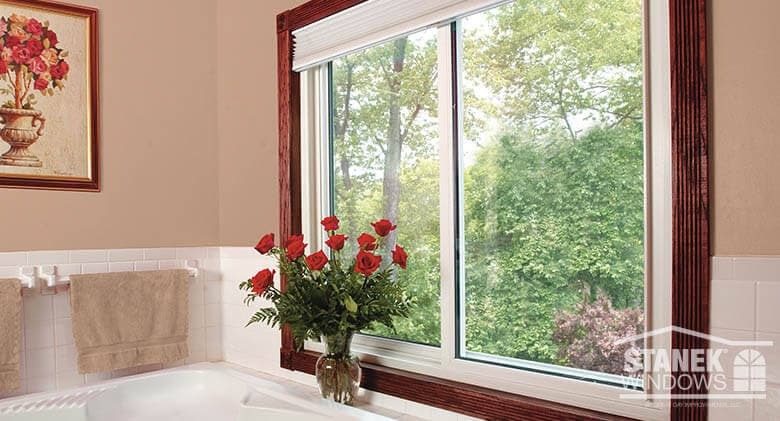 Because of its design, a sliding window does not have complicated moving parts that other types of windows have. Stanek Windows offers energy-efficient glass options that can keep your home at a consistent temperature year-round and even lower your energy bills. 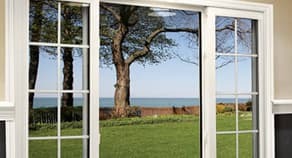 Stanek sliding windows are built to allow both panes to be opened at the same time, which allows for maximum ventilation. Easy to use. Sliding windows are known for their easy-to-use design, which allows you to slide one side of the window open, while the other stays stationary. These types of windows can be easily opened or closed with the push of a finger, due to the roller that the window sash slides on. Because of this, they are often found in spaces where it may be difficult to reach the window to open or close it. Now that you have decided on sliding windows for your home, which window manufacturer do you choose? While there are many window companies that offer windows at low prices, you want to make sure you’re getting the best value for your investment. Be sure to research your options and choose a company that can offer superior window quality, performance and energy efficiency. Overwhelmed with options? 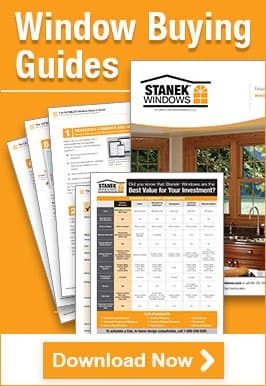 The experts at Stanek have put together a buyer’s guide that can help you learn what to look for in quality replacement windows. Get helpful tips and download our free Buyer’s Guide to get the facts about replacement windows. If you are ready to take the next step, call the Stanek Windows experts at 1-800-230-8301 to schedule your free, in-home estimate. During your in-home consultation, our experts will measure your windows, discuss options available and provide you with an estimate – all free of charge.